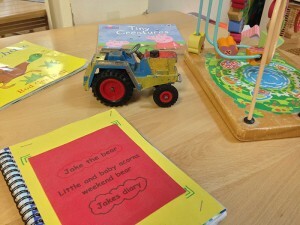 At Acorn Nursery we have quite a routine to the day. In the morning we have Free-Flow Play, which means that the children can come and go from inside to outside as they please. At approximately ten O’clock we have circle time followed by some yummy healthy snacks where the children are encouraged to be independent and sociable with their peers and adults. After snacks the children go outside for physical play for approximately half an hour. After outdoor play the children have more structured activities and play that are more adult led. 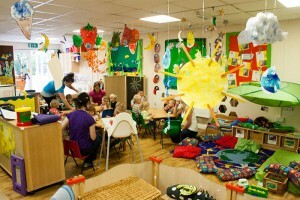 Such as, cooking activities, making crafts to take home and specific role-play games. These activities are followed by a healthy balanced hot lunch that is very high in nutrition. Children are encouraged and praised by staff and staff focus on making sure the children eat a sufficient amount of lunch. The afternoon is a very similar routine as the morning and tea is served at 5.00pm.